Ms Fatou Bom Bensouda is a sad woman after her attempt to take on the United States ended badly. 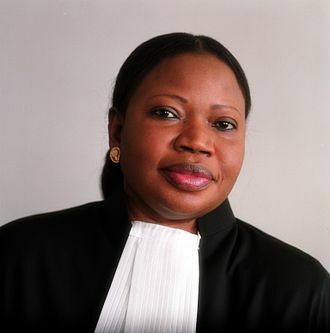 The International Criminal Court (ICC) prosecutor has had her visa to the US cancelled. This is after she initiated proceedings to look into war crimes by the US in Afghanistan. This move to revoke her visa is believed to be America's move to show that they do not approve of the investigation that might uncover crimes against Afghani locals. If you're responsible for the proposed ICC investigation of US personnel in connection with the situation in Afghanistan, you should not assume that you will still have or get a visa, or that you will be permitted to enter the United States. The ICC Prosecutor's office insisted that her work will continue without any favouritism. The United States threatened the ICC and said that it is prepared to even follow the economic sanction way if they do not drop the investigation. BREAKING: United States government revokes visa of Fatou Bensouda, an International Criminal Court prosecutor investigating alleged US war crimes in Afghanistan. Three years ago today, the ICC terminated the case against DP @WilliamsRuto and journalist @JoshuaArapSang1. Coincidentally, in the news today is that the US has revoked ICC prosecutor Fatou Bensouda's visa over probe on American soldiers.